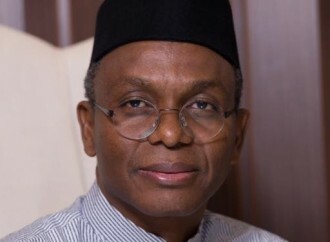 The Kaduna State Government on Wednesday said it would offer entrepreneurship training to 5, 000 youths over the next four years. Gov. Nasiru El-Rufai disclosed this in Kaduna at the flag-off of the programme, tagged Kaduna State Entrepreneurship Programme (Kad-Step). TodayNG reported. Represented by Muhammed Abdullahi, the Commissioner for Budget and Planning, the governor said the first batch of 150 successful applicants would commence a 12-weeks training at the Kaduna Business School. He said that the training would focus on development of business plans, access to finance and mentoring among others. The governor explained that the programme would be conducted in conjunction with the Bank of Industry (BOI). He said entrepreneurial knowledge was very important in starting up a business, adding that lots of project failures emanated from lack of entrepreneurial knowledge. Bisallah advised the trainees to take the programme seriously, come up with sound business proposals that would attract funding support and enable them to set up their own businesses.